As We Go Ministries, Inc. is a nonprofit ministry of Faith Lutheran Church (LCMC) in Hutchinson, Minnesota, a congregation known for its strong teaching ministry and leadership in the wider Church. This ministry is meant to assist other churches that wish to use professionally prepared materials in their congregation. Video recordings feature the pastors of Faith Lutheran Church, the Rev. Scott Grorud and the Rev. David Wollan. 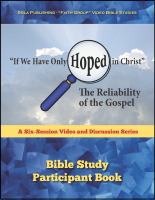 The studies were originally produced for members of their faith community. 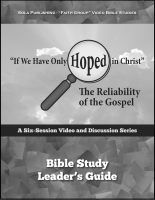 The videos are a necessary component of this Bible Study series. 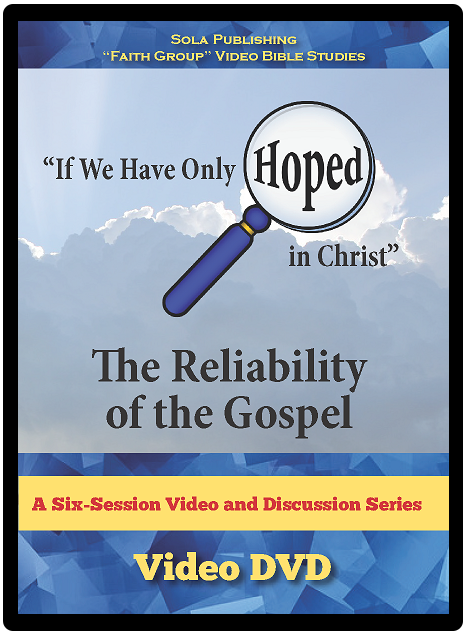 This six-session video accompanies the Participant's Book and Leader's Guide for The Reliability of the Gospel.